Reviews Cruise Reviews Disney Magic Cruise Review: A Truly Magical Disney Experience! You’ve seen the price of the Disney cruise of your dreams and badly want to make it a reality but the high cost precludes you from booking it. I have two words for you: BOOK IT. A Disney Cruise, without a doubt, is worth every single penny. The experience is not only vastly different from visiting the parks, it’s Disney-themed cruising which uniquely separates itself from other cruise lines. For families with children or Disney fanatics alike, there may not be a better vacation option in my opinion. Your best bet if you want to save some money is to book your cruise as far in advance as possible. That’s because Disney Cruise Line offers ‘tier pricing’ and the best savings can be found if you book as soon as the calendar opens for each cruise. Disney announces their cruise schedules roughly 16-18 months in advance so it would behoove you to book a cruise now in April 2018 for sail date of September 2019 as you’ll be locking in the best stateroom options and pricing. I booked our 4-night Bahamas cruise exactly 14 months in advance and used a few credit card sign-up bonuses to cut my out-of-pocket cost in half. The girls excited to meet Disney princesses! We live about 20 minutes from the Port of Miami so the drive was quick and painless for us. For those folks flying into Miami International Airport and wanting to head directly to the port terminal on cruise day, I recommend you book an Uber/Lyft from MIA as it should only cost you about $15. Parking at the port is a whopping $22/day so I would avoid renting a car or driving yourself there! We arrived at the Disney Cruise Line terminal at 11:00AM as we wanted to get our vacation started as soon as embarkation was allowed. I also wanted to ask about stateroom upgrades as I heard that the ‘early bird gets the worm’, however when I inquired I was told the ship was fully booked so no upgrades were to be had. Word has it if you ask at check-in, they’ll offer you an upgraded room type if available (Inside cabin to Oceanview cabin; Oceanview to Verandah) at a reduced cost per night or even free! Doesn’t hurt to ask. Ask for an upgrade at check-in. We went through the check-in process, received our room key cards and even got to take a photo with Goofy as we waited to board. Room keys which are also linked to your credit card for on-board purchases. Meeting Goofy while we wait for our boarding number to be called. We were given a board group number and were told that boarding would begin at 11:45AM. By 12:00PM, our group number had been called and as we boarded the ship, a cast member with a microphone announced a welcome to our family while the crew applauded. Very cool Disney-touch for families. I booked a Deluxe Oceanview Stateroom which was only slightly more expensive than a high deck inside cabin stateroom. The extra cost was minimal considering you get a beautiful view of the ocean and get to look out when arriving at the ports. The Disney Magic has 11 total decks with decks 1, 2 and 5 through 8 housing staterooms for guests while the others are used for activities, entertainment and dining. Our stateroom was on Deck 2 and I checked reviews here prior to selecting the exact room I wanted. I opted for stateroom #2116 as it was literally beside the elevators which was extremely convenient and based on all the reviews, the room was surprisingly very quiet. Disney cruise line sports some of the largest rooms in the cruise industry. Our 214 sq ft. Deluxe Oceanview Stateroom came with a large porthole for stunning ocean views and a sitting area with a couch, TV with free Disney movies (score for the kids) and ESPN (score for me), plus a desk. There was a curtain that divided the sitting area from the sleeping area which was a nice touch for extra privacy. Large porthole made a big difference in our room satisfaction. Living area with sofa bed (turns into an awesome bunk bed), coffee table, desk and TV. There is a queen-size bed, single sleeper sofa and upper berth pull-down bed which is just a fancy name for ‘bunk bed’. The layout was perfect for the four of us (two adults, two children) as the privacy curtain between our queen bed and the girls’ bunk bed allowed us to watch TV after the girls’ fell asleep. Great bunk bed set-up for kids. I wasn’t a huge fan of the split bath set-up. A “split bath”: a bathroom with a vanity, sink, shower and tub and a half bathroom with a vanity, sink and toilet. Split bath set-up with toilet. Although I would have preferred an open bathroom concept, kudos to Disney for including the bath tub in each room as it makes it much easier to bathe younger children. The food on the ship ranged from average to very good. The Disney Magic has three restaurants that you rotate between including, Animator’s Palate, Lumiere’s and the recently debuted Rapunzel’s Royal Table which was perfect for my ‘Tangled’ obsessed twins. Rapunzel’s Royal Table dining room with cool lanterns. Rapunzel and her love interest Eugene joining us for dinner! You are assigned the same servers each night so you get to know your serving staff well. While there are buffet style restaurants on the ship, we opted to visit our assigned restaurants for dinner as the menus were all quite good and each dinner came with a small show or some kind of entertainment. Sample of dinner main entree options one night. Disclaimer: I scarfed down my main entrees so fast I barely got any food pictures. Here’s a shrimp and scallop appetizer I managed to snap a photo of! For breakfast and lunch, we opted for Cabanas, the casual buffet lunch option which offers an array of foods. One of the days I was a happy camper as I stuffed my face with snow crab legs crab claws and shrimp. Snow crab legs at Cabanas buffet for lunch. My kids, obvious picky-eaters, ordered off the kids menu. The buffet for breakfast had items such as eggs, bacon, donuts, fresh fruit, cereals, etc. and for lunch, chicken fingers, roasted chicken, steaks and pastas were offered providing plenty of options for even the choosiest palates. For dinner, the mainstay items for kids were cheese pizza and mac n’ cheese but you could also order adult menu items that would suffice for small ones. The desserts were a big hit with my sweet-tooth bandits. Kids menu for dinner one night. Creme Brulee cheesecake was fire! Don’t mind the boogie wipes in the background. Strawberry sundae with tasty vanilla cake for the kiddos. Each night you’re assigned a dining room and each night there’s a theme incorporated with the dinner. Our favorite night was the famous Pirate Night as the room (Animator’s Plate) was visually stunning and the entire restaurant staff encouraged all kids to join them in song and dance across the room. The gorgeous Animator’s Palate dining room. Pretty cool also that mostly everyone dressed up for Pirate’s night, from toddlers to 80-something grandparents, everyone donned Pirate-themed costumes for the evening party festivities. Pirates night, where every single person dresses up and no one feels silly. Room service is included free of charge. The room service menu is limited but we did order chicken soup and sweet treats when one of my daughter’s was feeling a bit under the weather. The room service is delivered promptly to your stateroom under 35 minutes and they all but guarantee it over the phone when you place the order. It’s Disney Cruise line standards at it’s finest. The Oceaneer Club and Oceaneer Lab for children ages 3-12. We aren’t the types to leave our kids here all day but if we wanted to, there is no shortage of entertainment for kids of all ages at the Oceaneer Club and Oceaneer Lab (ages 3-12). The club is well-organized and well-supervised, and there are tons of activities going on (like song and dance with characters) to keep kids occupied. A neat feature of the Kids Club is if you download the Disney Cruise Line app, there is a messaging option (more on this later) that allows Kids Club cast members to contact parents if there child wants to be picked up or has any issues. This feature offers peace of mind to parents that want to enjoy a quiet evening out or simply take a break from the kids. Cool Toy Story themed room with slide. Beauty and the Beast showing all over the Kids Club. Disney Junior room with iPads equipped with educational games and apps. Girls wearing the magic bands that track their whereabouts inside the Kids Club. Photos of our faces popped up on computers when we arrived and we were asked to confirm the customized secret password despite them knowing who we were. Disney doesn’t mess around with security. Probably the most over-utilized entertainment activity on any cruise are the pools. Disney is no exception. There’s a dedicated small pool for toddlers and small children and it’s even manned by a life-guard. Nephews’ Splash Zone, the place for younger children to enjoy the water. The waterslides are fun and given the ship’s compact size (compared to newer mega ships), there was never more than a 10 minute wait for the slides. My wife and I went on the AquaDuck slide, not to be mistaken with the more adventurous AquaDunk, but still loved the short thrill down the yellow curvy water slide. Wife and I took turns on the water slide as the girls were too chicken to ride! Truly, there is no shortage of ship activities on a Disney cruise. The adult and kids pool with large screen that plays classic Disney movies at night. The wait times to meet the characters never surpassed 20 minutes and the girls got to meet every Disney Princess more than once with no fast pass or long waits to deal with. Oh, Hello Belle…for the 3rd time. By the end of the cruise, they may have been desensitized to picture-taking with characters as these famous Disney characters roam around the cruise so often making it very easy to run into them. No shortage of entertainment on a Disney cruise. Here we are Midship at the Pirates Party! The broadway-type shows are impressive. Performances are offered two times each night (for the main seating and second seating folks) and we went 3 of 4 nights. These shows include Tangled: The Musical, Twice Charmed and Disney Dreams. Do not miss the shows! Our favorite show was Tangled: The Musical but really they were all incredible. Most people make these shows a must-see activity on their cruise plans. I lived in New York City in my twenties and used to attend countless broadway and off-broadway shows and the performances on the Disney Magic are on-par with those on the big stage. Kids and parents alike love these shows and a neat treat is that many of the actors collaborate on other ship responsibilities so you see them in plain clothes walking around and smiling at guests. Disney’s Castaway Cay views from the ship. What I thought would be a gimmick little island turned into a legitimate paradise stop on our cruise itinerary. Castaway Cay is Disney’s own private island in the Bahamas and is a port of call on Caribbean cruises. Its turquoise waters and pristine beaches make it the perfect complement to a Disney cruise. Use of all facilities including kid’s programming, Pelican’s Plunge (a fun slide inside the water), snorkeling, Serenity Bay (the Adult-Only Beach), and the family beach are included. A splash area for kids was a hit! Lunch is provided and includes barbecue ribs, roasted chicken, spicy fried chicken, hamburgers and a plethora of appetizing sides. You only pay for alcohol and beach gear such as tubes, floating mats and kids sand toys. Arrive early and score prime real estate chairs near the water. We arrived before 9:00AM to get an early start on beach chairs and glad we did because by lunchtime, the beach was crowded with hundreds of parents with small kids crowding the entry point into the water. We reluctantly left after lunch as the girls had gotten plenty of sun and enjoyed a quiet ship for afternoon napping. Stopped for a pic on our way back to the ship from Castaway Cay. Once aboard the ship, The Disney Cruise Line Navigator app not only helps you navigate the ship, see the ship schedule and customize your cruise plans, it also allows you to text with your travel party while on-board. Disney Cruise Line App for on-board usage. The app has an onboard chat feature which allows parents to communicate with one another if they decide to split up for any reason. This came in handy when we had two character meet-and-greets scheduled closely back-to-back and we decided to split up in order to alleviate the wait time. Once my wife was done seeing Stitch with the girls, she came over to Minnie Mouse and within 15 minutes total, my kids had seen both characters. As my wife kept saying throughout the cruise, “they are genius”, in reference to Disney’s cruising experience. 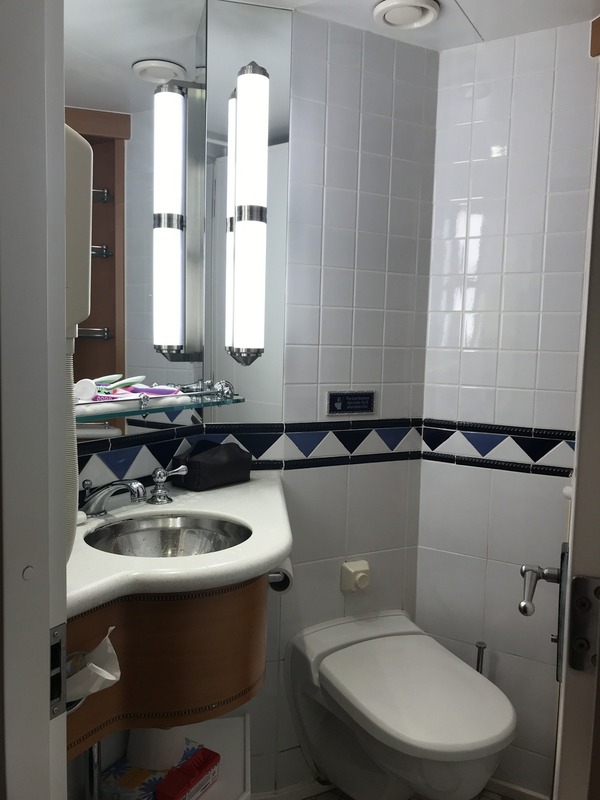 Disney is exceptional at organization, attention to detail, and entertainment, and these features are what makes a Disney cruise a different experience than a non-Disney cruise. Disney has a notable reputation in service standards and this is no more apparent than on a Disney cruise ship. Every single staff member we engaged with (probably over 200 individuals) on our 4-night cruise was downright exceptional. Add the ease of meeting characters and the small Disney touches such as personalized cups with your child’s name on it, Disney characters knowing your kids’ names by heart and as my wife observed, even the fine china used in the restaurants was simply astonishing. 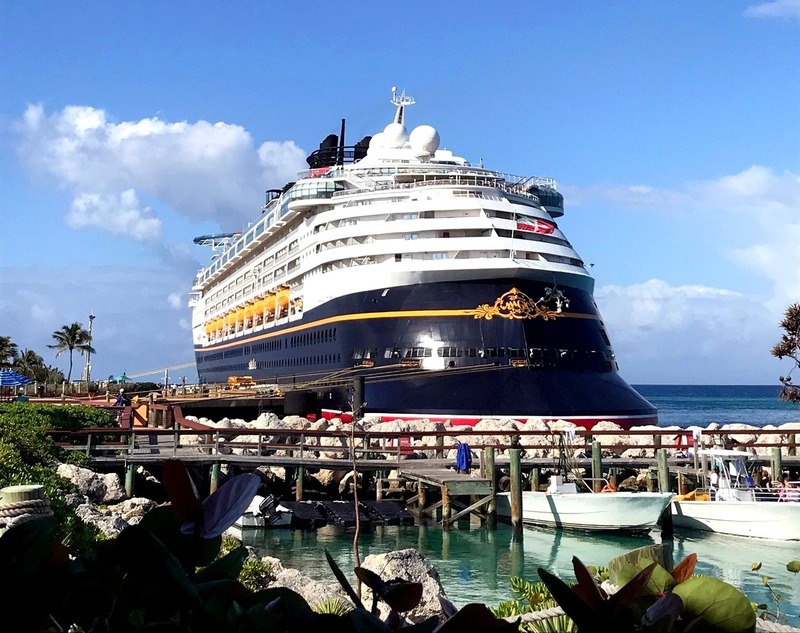 From the meals, entertainment, character meet-ups, service and the gorgeous Castaway Cay, Disney has perfected family cruising with those special Disney touches. Disney has always been fun for our family but we’re more of the fly, stay and explore types over the cruising concept. However, after our first Disney cruise, we are officially obsessed and are looking forward to booking our next one for 2019. An exceptional cruising experience for families with young children and the Disney obsessed. Fares tend to be higher than those of mainstream lines but you're getting a globally recognized family-entertainment brand with special Disney features and top-notch service making it a magical vacation. My name is Juan, an obsessed father of identical twin girls and equally obsessive points and miles enthusiast. I founded DoubleDutyDaddy.com to chronicle my life as an involved father of twins and encourage families to travel with their kids utilizing points and miles. Come along for the journey! Nice review. As a non-Disney obsessed old person I really appreciate Disney for how professional they do everything. I also would trust them with my kids or in my case grand kids more than some of the other cruise lines. I’m an avid cruiser and keep reading stuff like your review to talk myself into spending the extra for a Disney Cruise. My wife and I are not Disney-obsessed either and yet the entire experience has changed the way we view Disney as a corporation. Sure it’s a business and the price hikes each year hurt families, but the extra for the Disney Cruise experience is absolutely worth it IMO. Particularly for parents with small children. Would you recommend for couples without children? especially non Disney fans? My husband and I (early 60’s) went on a Disney cruise with our 30-ish son and daughter in law, no kids. Absolutely LOVED it! And no, we are not Disney fanatics in any shape form or fashion! (have never even been to Disney World!) Hubby and I have been on other cruises and Disney is by far the best. Even the guests are more polite. I worried that we wouldn’t “get” some things, as we don’t keep up with the latest movies but that is really not the case….altho for our next cruise I will probably get hubby to watch Tangled with me! Castaway Cay adults only area — oh my! heaven on earth! Tough to say. I personally would opt for RCCL or another mainstream cruise line over Disney if I a) didn’t have small children in my party and b) wasn’t an avid Disney-follower. Great review DDD – thanks for sharing! I was not a cruiser either. My first cruise was the 7 day Western Caribbean on the Disney Magic with my 5 year old. It was so good that on board I booked the 7 day Eastern Caribbean for the following year. And I was on the first cruise on the Disney Dream 2 years later. Since there were no 7 days available, I did 2 back to back 4 day cruises. People think counterintuitively with Disney-if I wait, the price goes down. Like you said, not only is that not true, but the longer you wait the more of a chance there will be no availability at any cost! And agree about the Kids Club- my daughter wanted to spend all day there, reluctantly leave to eat and then go back for Goofys Pajama Party. 7 day Disney cruise for a family of 4 may require me to save for a good year but I’ve got a shorter 3-4 nighter on the Disney Dream out of Port Canaveral on deck (no pun intended) for 2019. You can book Disney cruises via phone with your CSR at 1.5 CPM. I opted to use cards like the Barclay Arrival Plus to offset some of the cost of my Disney cruise. I love your review! We went on our first Disney Cruise when my kids were 1, 4 and 7. We’ve been hooked ever since! We’re going on cruise #7 in January. My oldest son has used the Tween Edge club the last two cruises, and he enjoys it even better than the kids club. DCL does a great job with teens and tweens, too. Good to know! I am looking to book my next one for 2019! Been on 20+ cruises with 2 more booked. I have never been on a Disney cruise and just do not plan to do that. We love Celebrity, but if taking the grandkids then it would be on NCL with so many great things for kids to do and a great kid’s program. While I believe Disney offers a great product, they charge for that and never think about getting a drink program there. Celebrities top ships are all rated at a minimum equal to any Disney cruise, plus the top tier Celebrity ships are quite elegant.